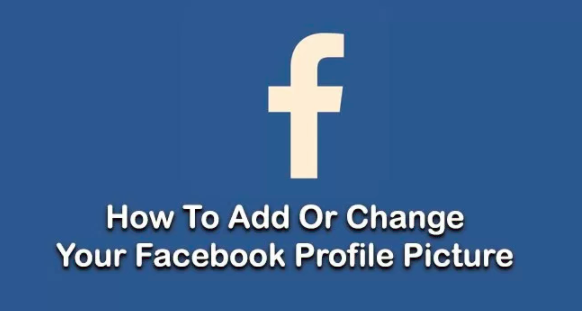 How Do I Change My Facebook Profile Picture ~ Changing your Facebook profile photo varies depending on whether you're accessing the service via the Facebook website or the mobile application. Whatever your system, you can pick either an existing picture, take a new photo or pick one where you are identified. Is your Facebook profile image getting a little old and stagnant? Adjustment it up a bit with these steps. 2. Select "Photos" in the "Application" section on the left pane. 3. Browse to the image you want to utilize for your profile. 4. Select Make Profile Photo. 5. You'll after that be able to chop the photo to your liking. Select "Save", and the photo is set as your account pic. 1. Login to the Facebook mobile site. 2. Touch the "Menu" Menu Switch switch in the upper-left corner of the display. 4. Navigate to the image you want to utilize for your profile. 5. Select the "Make Profile Image" web link, then pick "Verify". 2. Touch the "Even more" button in the lower-right corner of the display. 3. Select "Photos", after that navigate to the photo you wish to utilize. 4. While the picture is presented on the screen, touch the three dots (...) at the top-right corner of the screen. 5. Tap "Make Account Picture". 6. Plant the photo, then choose Done. 2. Touch the "More" switch in the lower-right edge of the screen. 3. 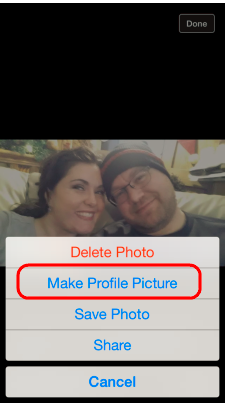 Select "Photos", then navigate to the photo you want to make use of. 4. While the image is shown on the display, tap the 3 dots (...) at the top-right corner of of the screen. 5. Faucet "Make Account Photo". 6. Crop the image to your preference, then select Done when you're completed.